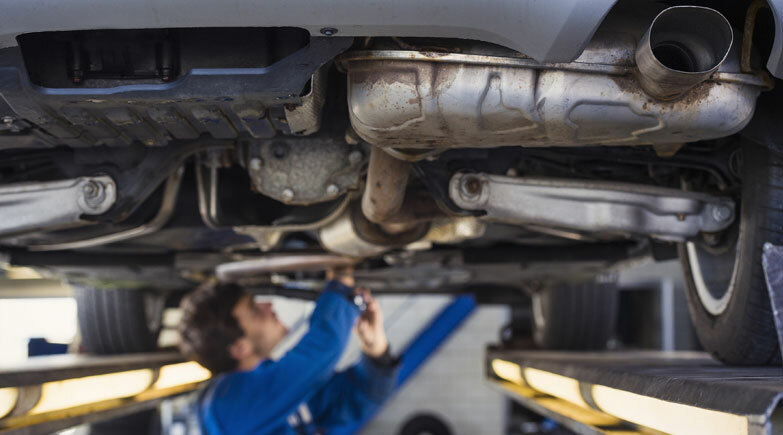 By keeping your exhaust system well maintained it allows your vehicle to give maximum fuel and environment efficiency, as well as a quiet, healthy engine and a smooth ride. Exhaust are an important factor to a vehicle to ensure that you get the best fuel economy possible and reduce the CO2 emissions produced by your car. If you feel like your exhaust is knocking or blowing call into the garage and we will check the exhaust system over for you. If you feel like your exhaust is knocking or blowing the noise it makes can be a good indicator of the probable cause. We have a range of top brand, full and part system car and van exhausts and catalytic converters to fit most makes and models all at competitive prices.